This is the title of an excellent book I'm currently reading through. I've decided to write some of the highlights here, for a couple of reasons... First, because it helps me process and remember; second, it's great to have others interacting and thinking through this material too! 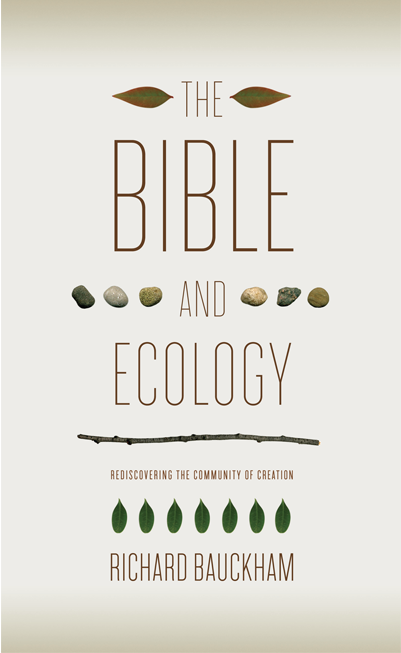 So, The Bible and Ecology really embarks on a biblical investigation to discover the relationship between humanity and the rest of creation. It's this "community of creation" that the author, Richard Bauckham is getting at. He's trying to get at the commonality that we humans have with other creatures, our dependence on them as well as our significance for them, in a life in which all creatures exist fo rthe glory of God. He states that although "climate change" has taken center stage in the conversation these days, there's a deeper crisis in the human relationship to the rest of creation that stems the modern technological project of mastering nature. The conversation about climate change, he says, and I agree, has distracted us from the other problems and their deeper issues in fundamental attitudes we have. 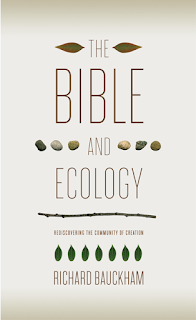 This is why this book is so helpful in pointing us back to the biblical sources of our faith to rediscover God's intention with what Bauckham calls the "community of creation". How about you? Do you agree with Bauckhams' perspective? What deeper issues and/or fundamental attitudes do you notice in your own life and in the Christian community that we need to get back to in the context of caring for God's creation?